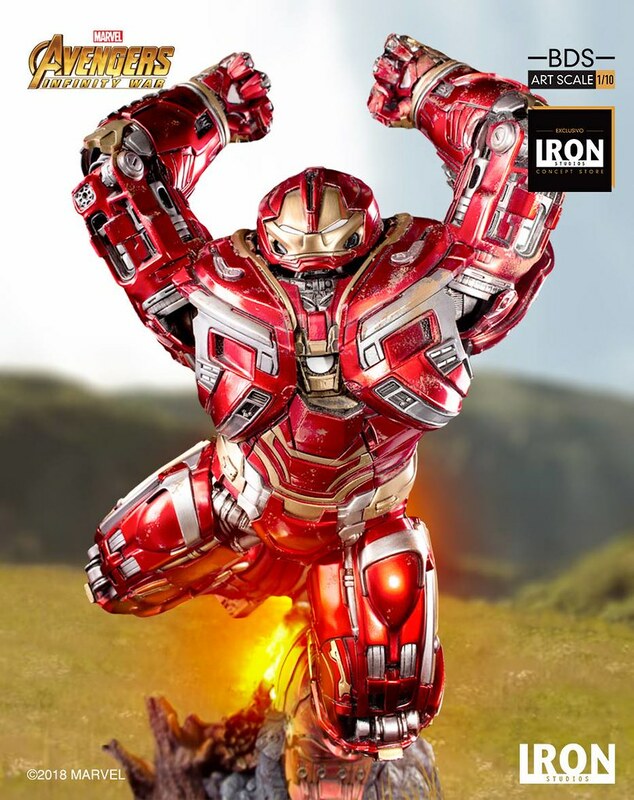 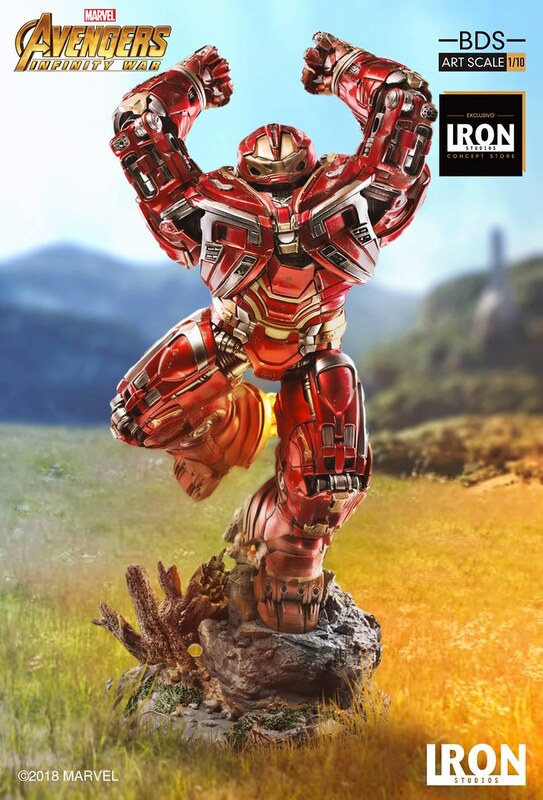 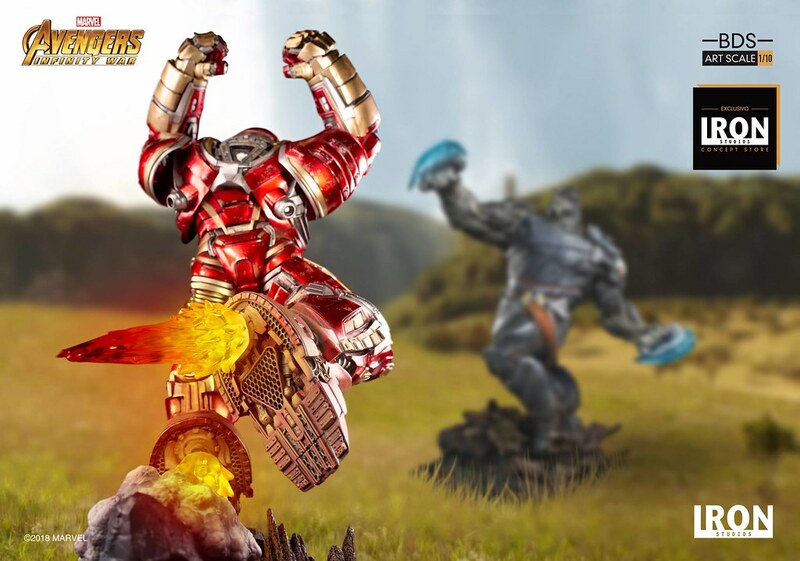 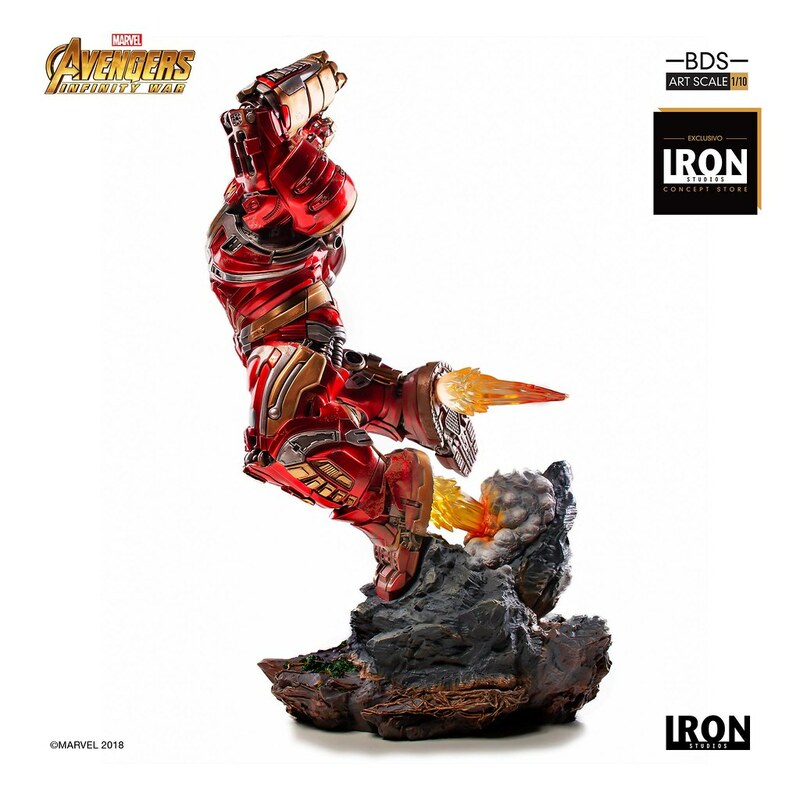 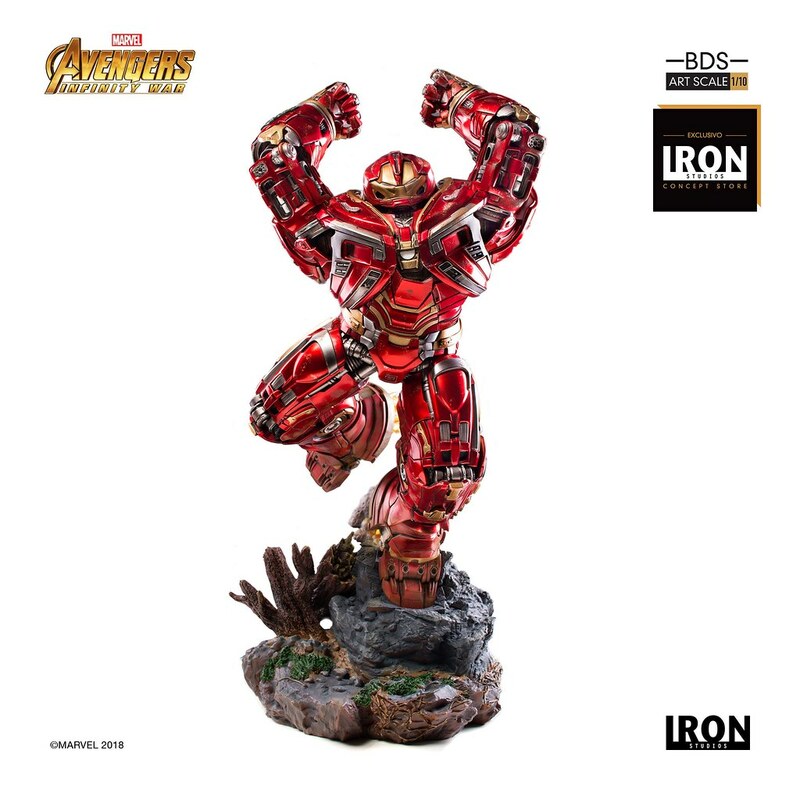 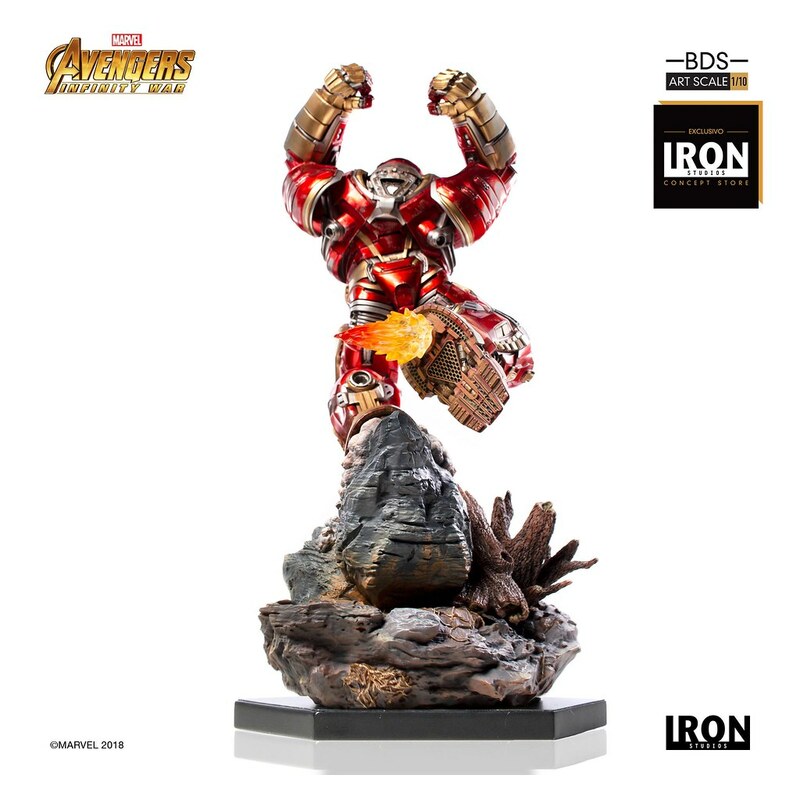 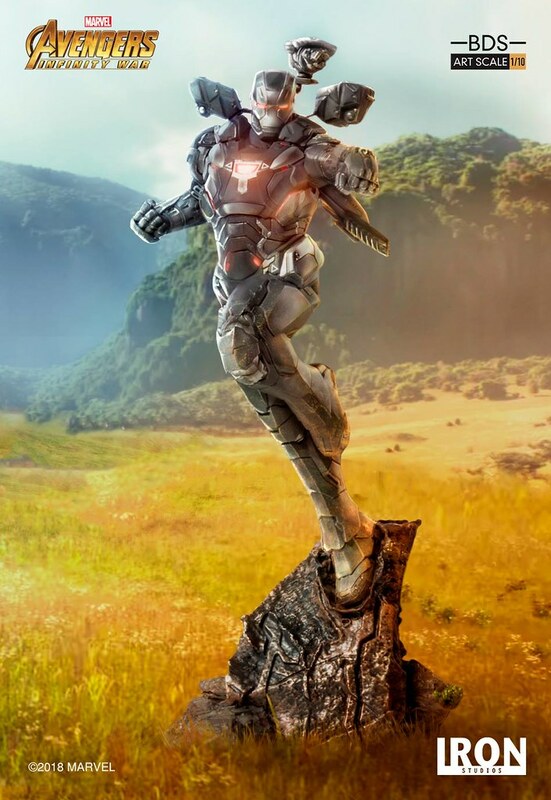 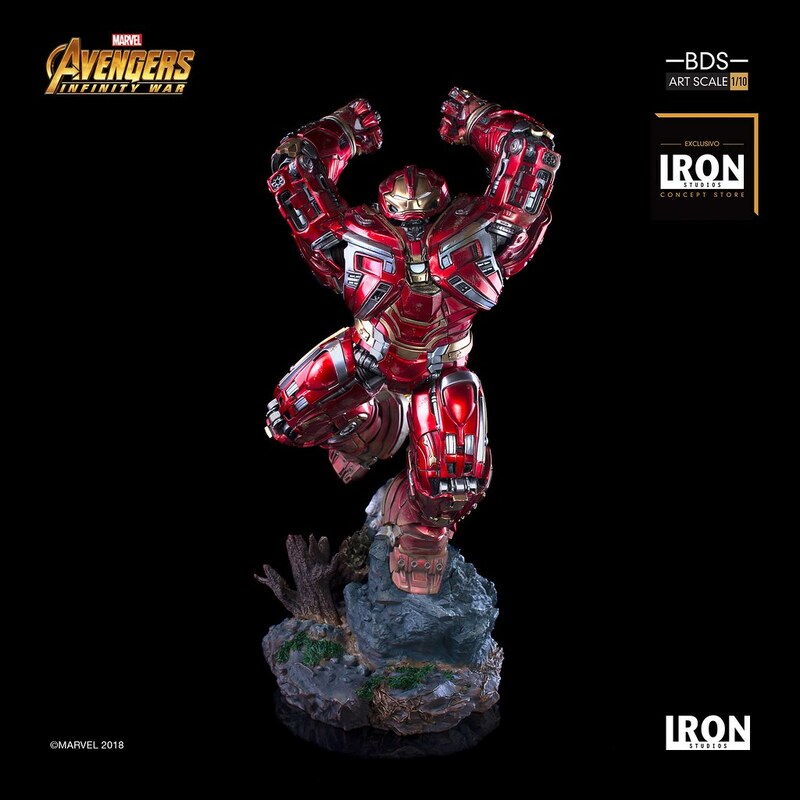 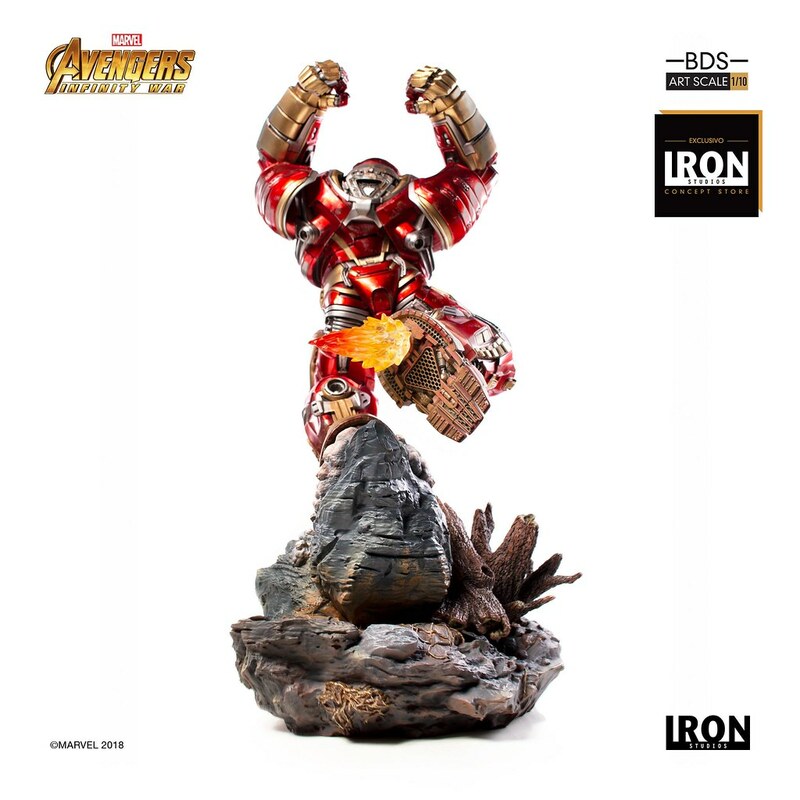 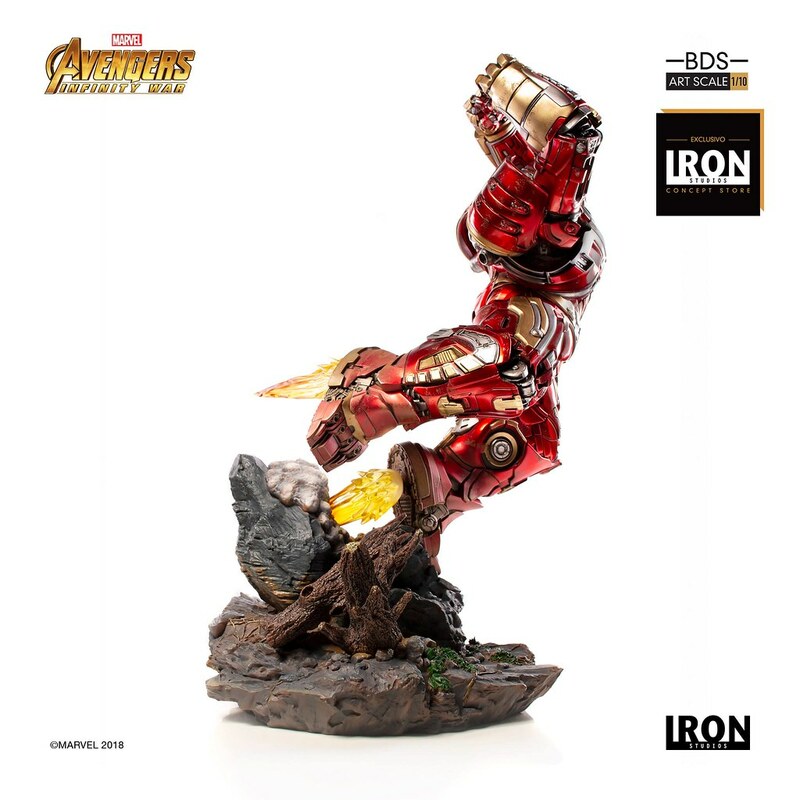 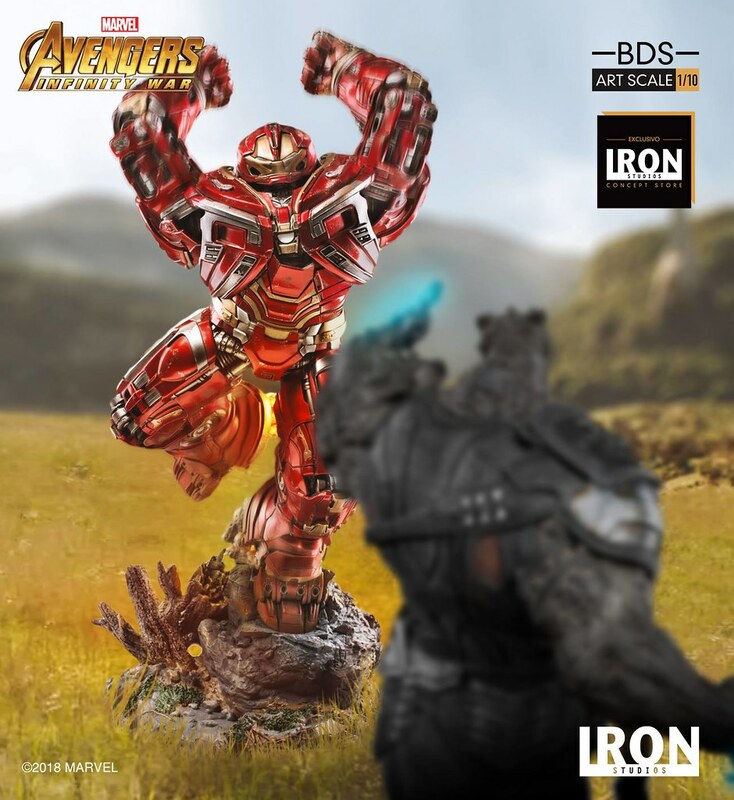 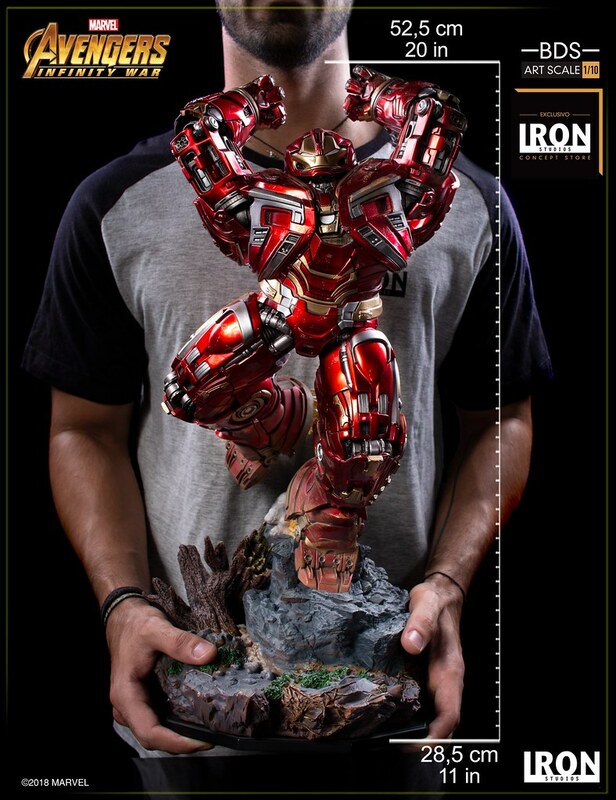 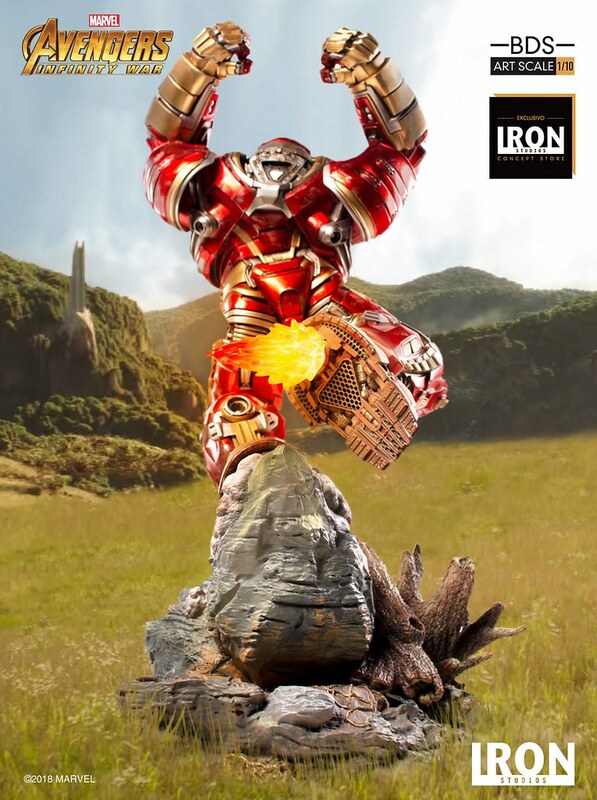 Following the releases of Thanos, Cull Obsidian, Hulk and Black Widow, Iron Studios has rolled out Hulkbuster BDS Art Scale 1/10, the next Avengers: Infinity War battle diorama in its BDS Art Scale collection, expected to release Q1 2019! 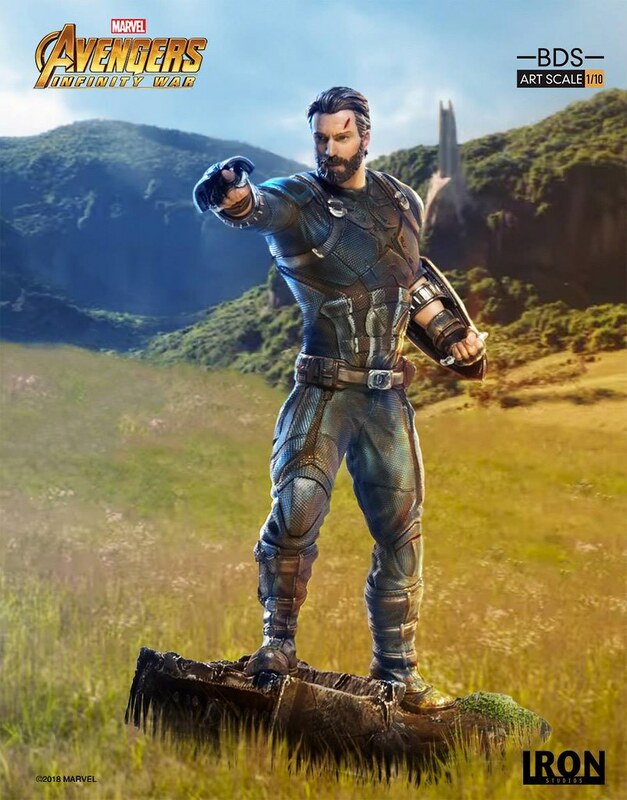 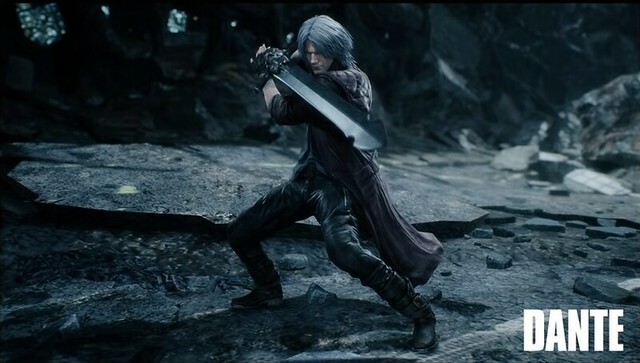 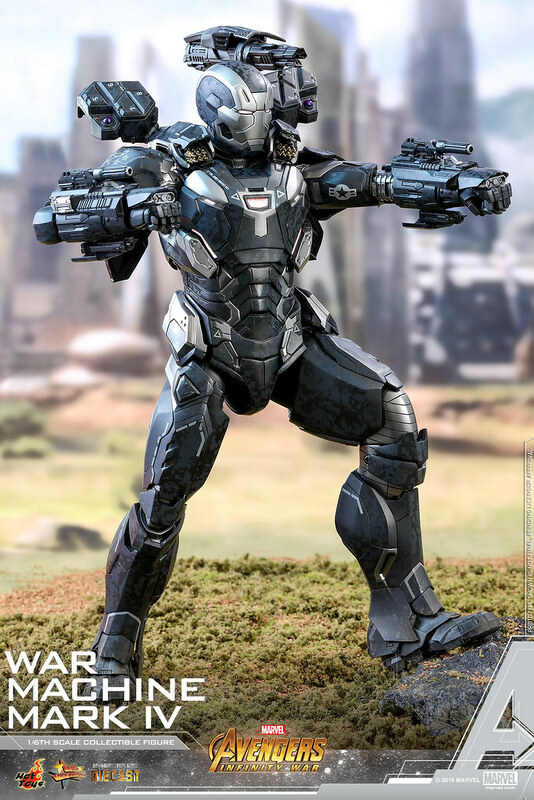 During the Battle of Wakanda in Avengers: Infinity War, Bruce Banner, unable to transform into the Hulk, joins the fight against the Black Order and the Outriders in the new Hulkbuster 2.0 armor. 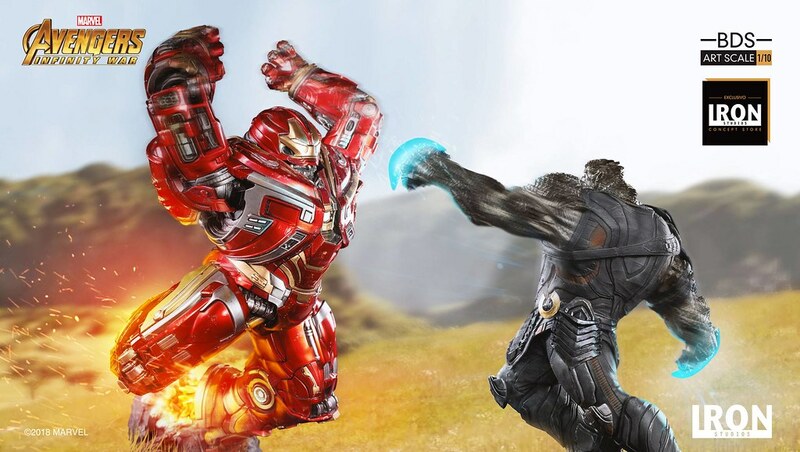 Though earning Okoye's disdain due to being initially unaccustomed to the suit, Banner still managed to bring down countless Outriders before ultimately outsmarting and killing Cull Obsidian of the Black Order. 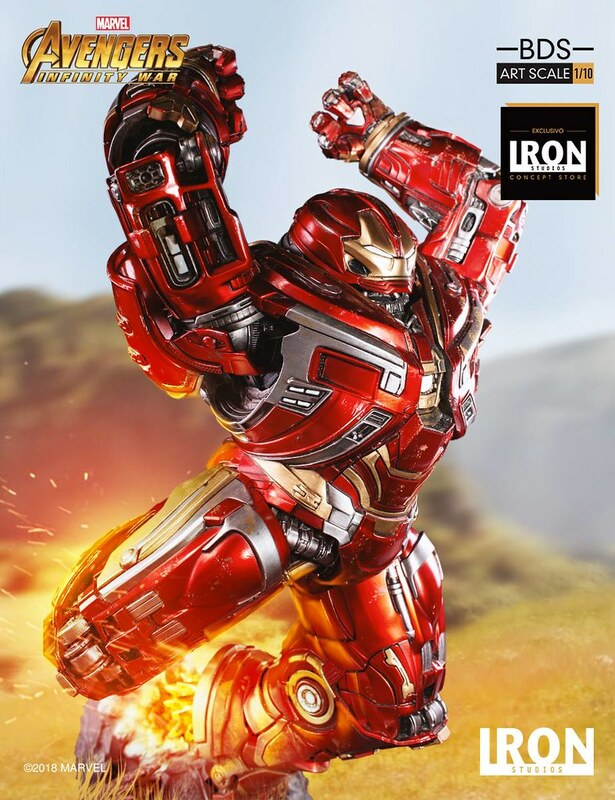 Based on the original 3D references from the film, Hulkbuster BDS Art Scale 1/10 is a towering 52.5 cm (20.7") tall, employing high quality craftsmanship to design this suit of armor in a dynamic attack pose as it brings the pain to the Black Order. 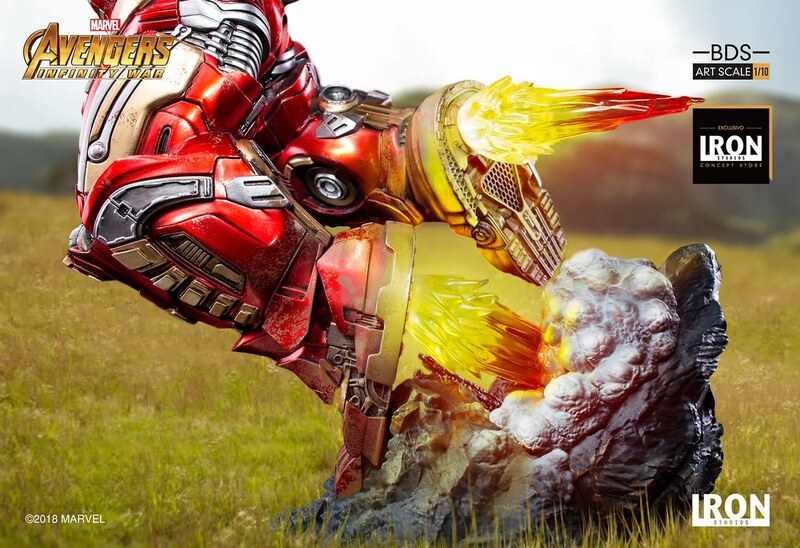 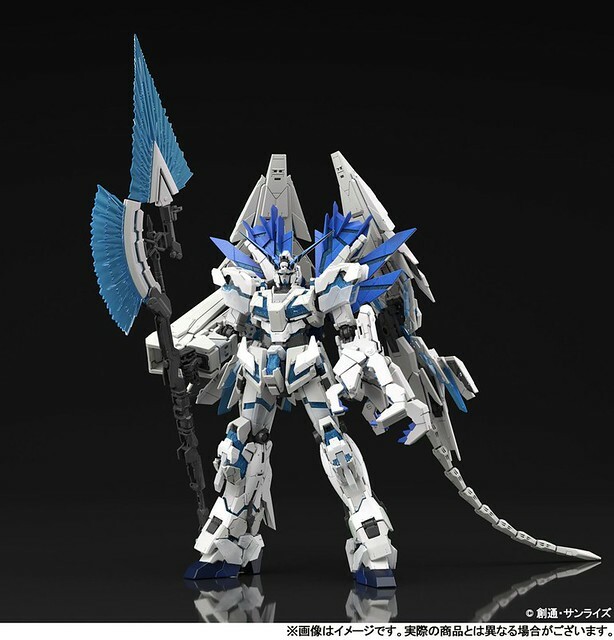 The firing booster jets in the soles come with translucent blast effects, while the meticulous armor detail reflects the handpainted metal texture. 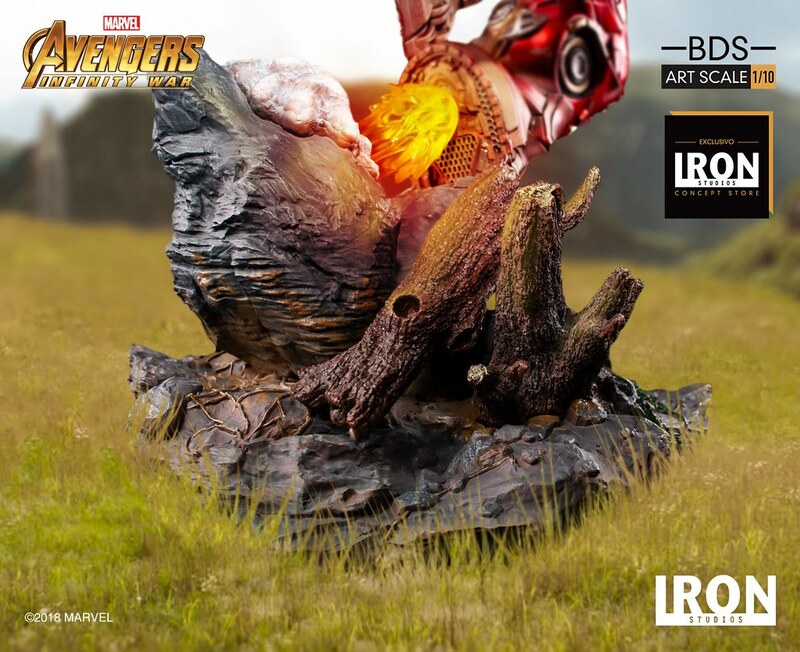 The display base features realistic rock and vegetation, recreating the Wakandan battlefield and elevating this battle diorama to new heights! 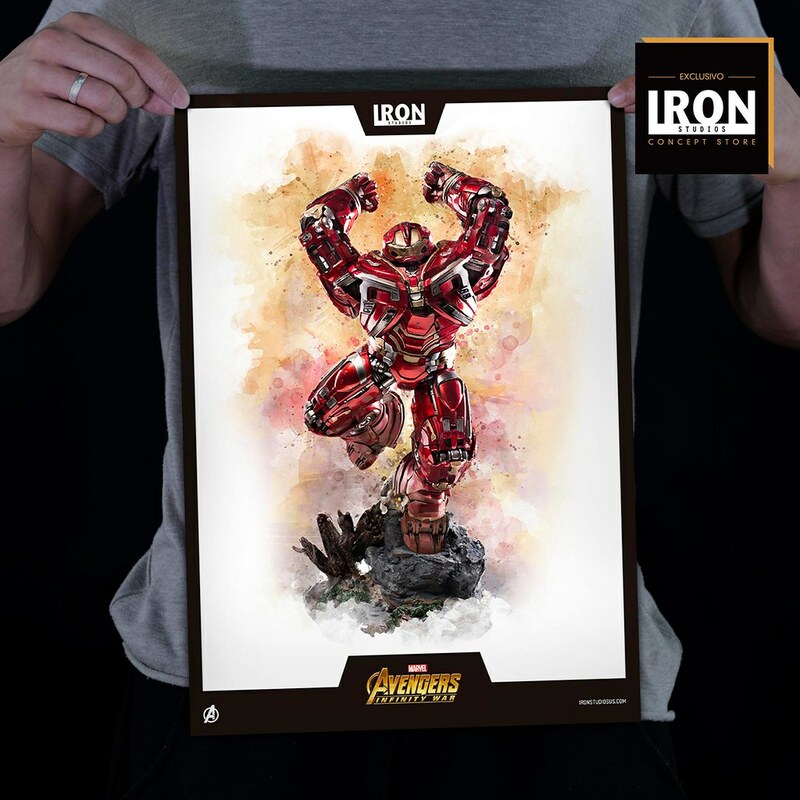 ▼Purchase from the「Official Concept Store」 to receive aweseome A3-sized artwork! 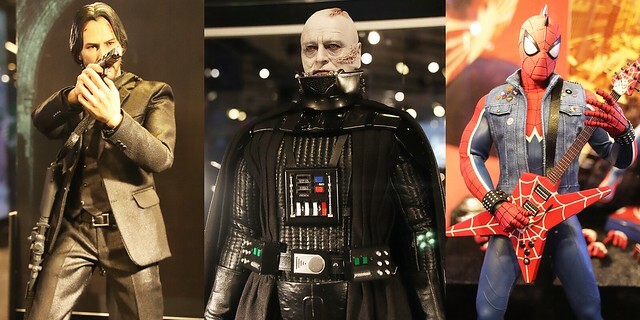 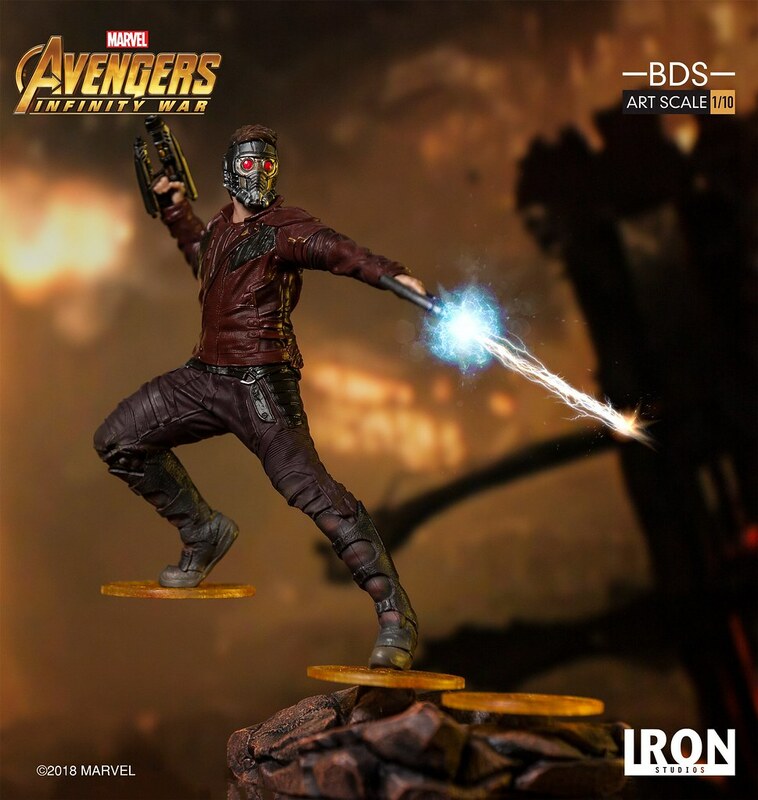 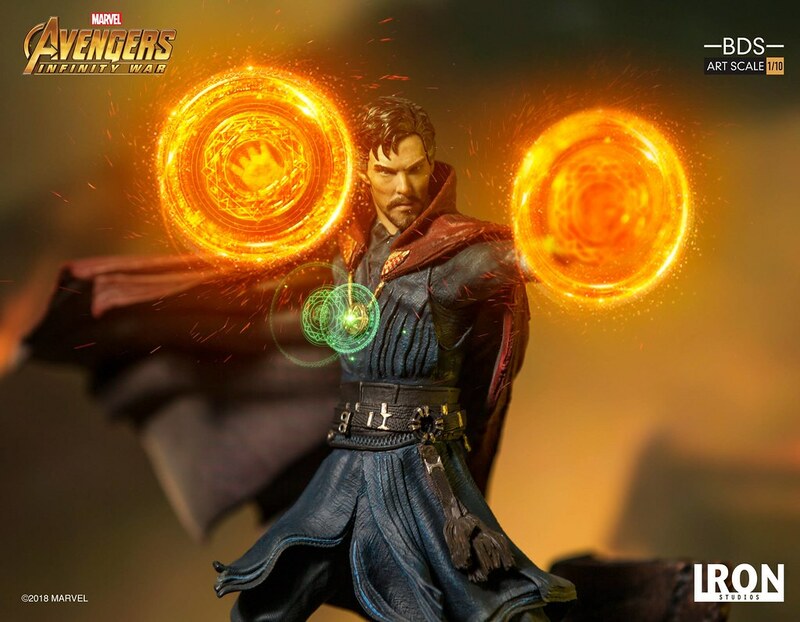 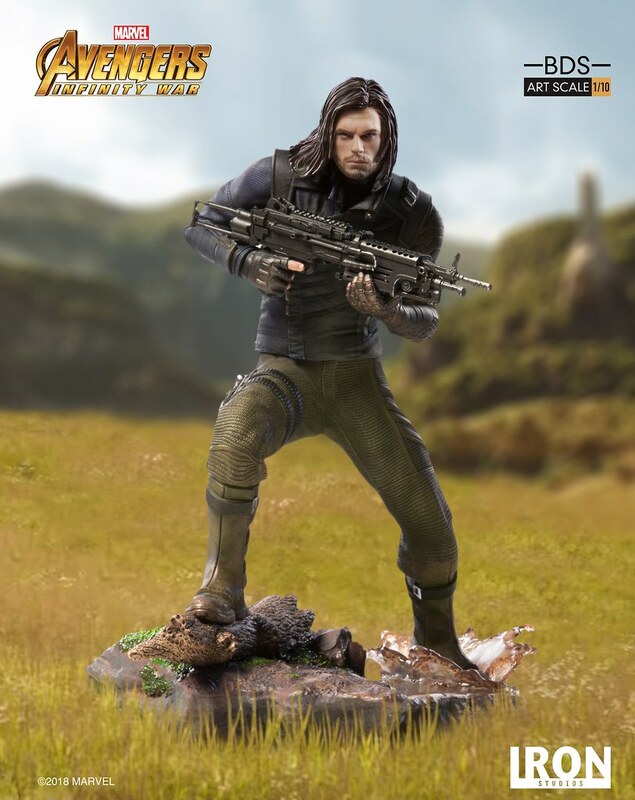 Iron Studios Reveals Star-Lord BDS Art Scale 1/10 - Avengers: Infinity War! 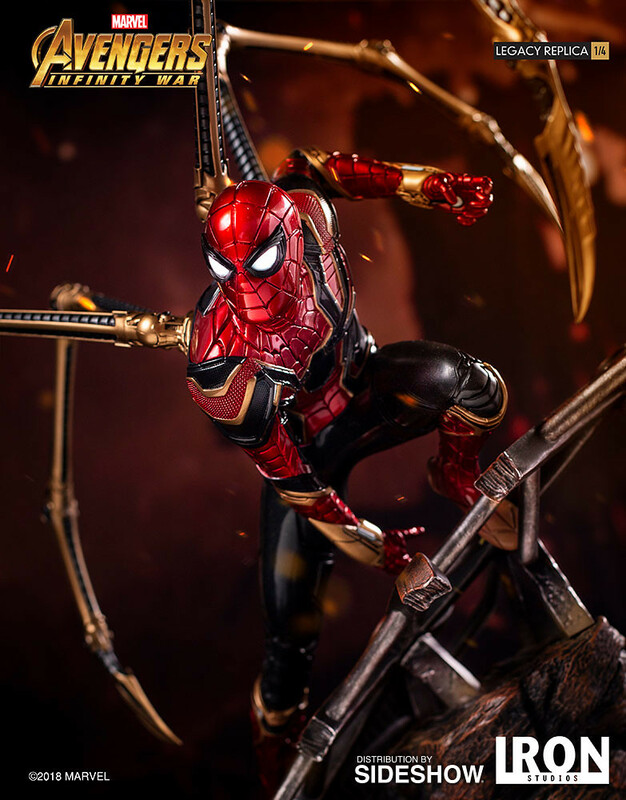 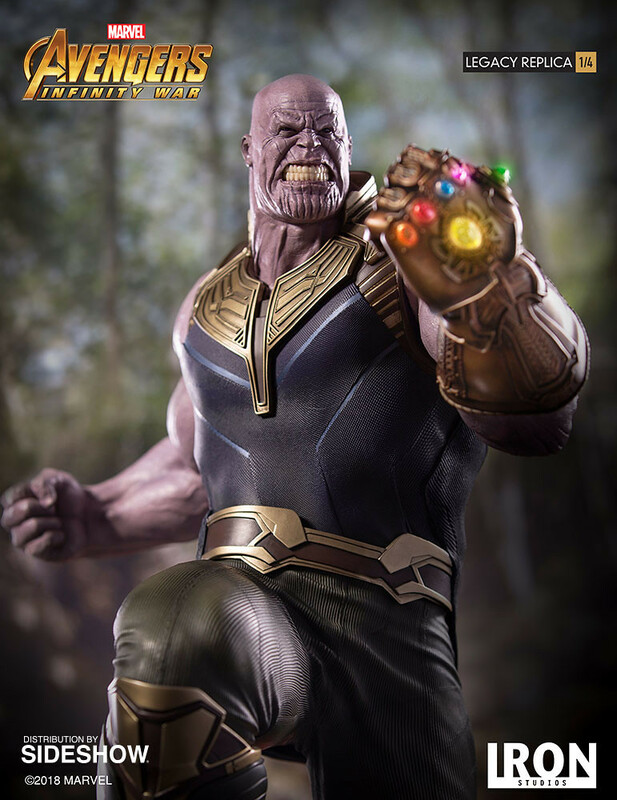 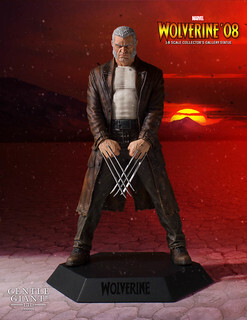 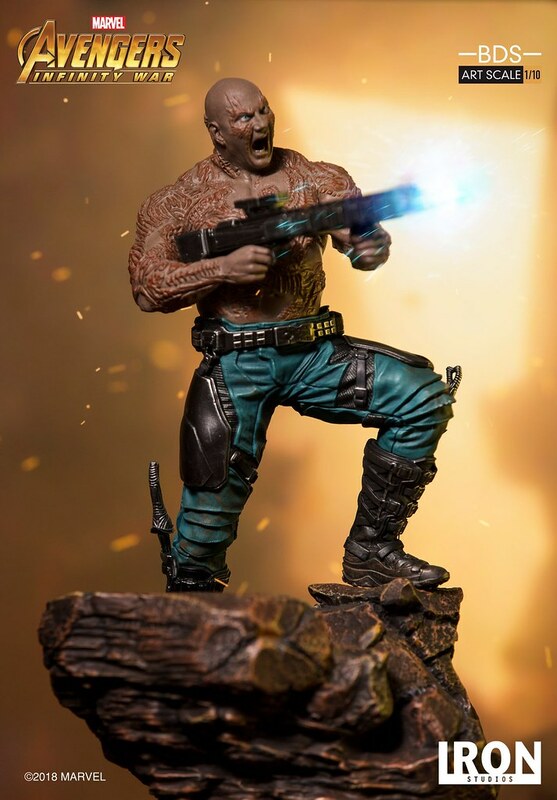 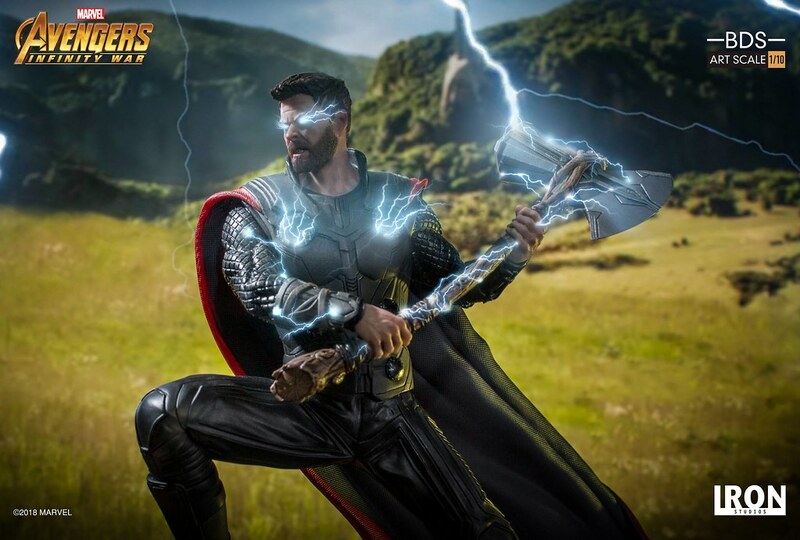 Iron Studios Drax BDS Art Scale 1/10 - Avengers: Infinity War!